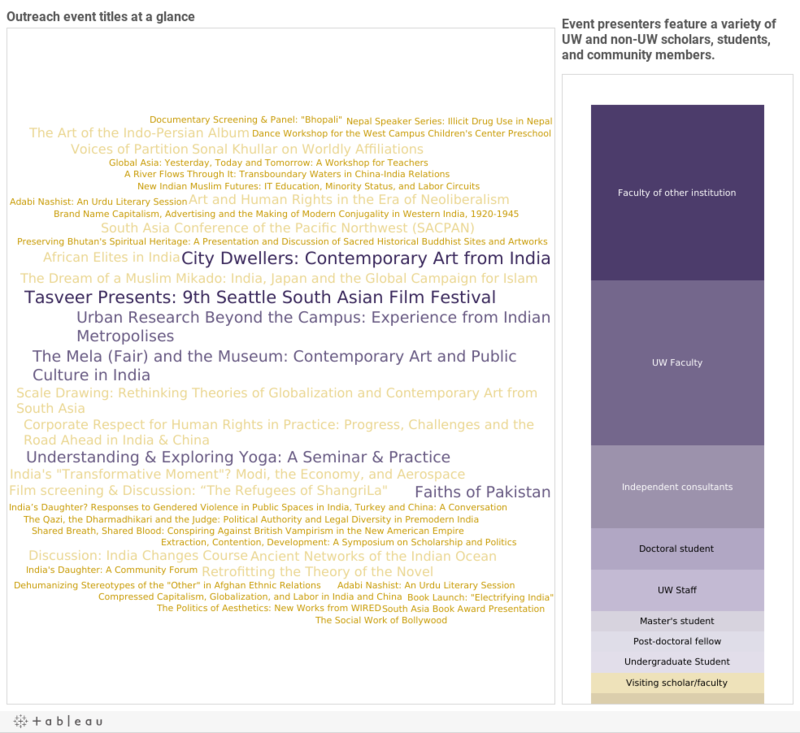 The South Asia Center at UW is a leading resource for South Asian Studies in the Pacific Northwest and beyond. Outreach programming includes public lectures, film screenings, cultural performances, and book discussions; presentations by visiting scholars and public intellectuals; partnerships with university departments and local non-profit organizations; educational workshops and teacher education programs, and more. In 2014-15, the South Asia Center hosted or sponsored 41 outreach events, attended by over 3700 people.